Birthday party at the Slot Car place on Camden. Great fun! Imagine having a Skalextrics that's 30feet by 20 and you can have seven friends race against you at the same time. No internet involved! 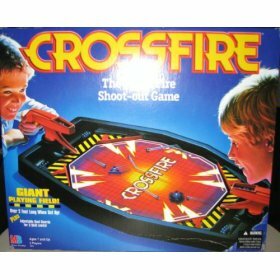 Didn't get him too many presents, but I did manage to find a Crossfire game. It was always a favorite of mine when I was about 10 years old and I thought he might like it. From Fords to food courts. Changing the Dream: Get this book. Use it. Wow, they can read my mind!